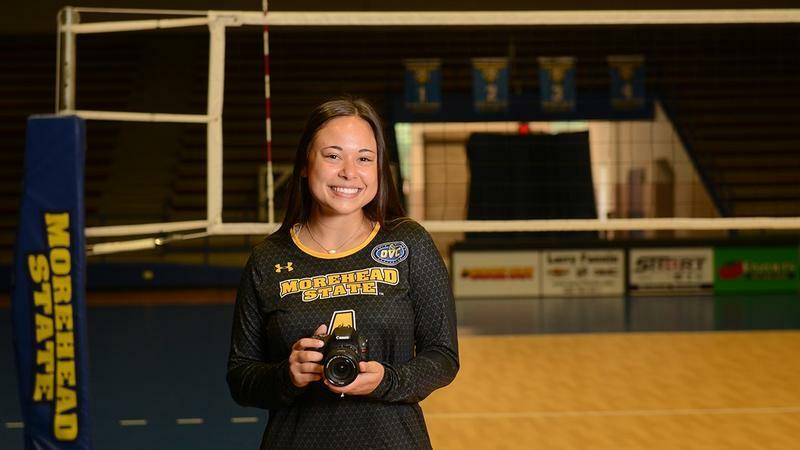 Danielle McCarson, a redshirt junior for the Morehead State Volleyball Team, spent her first two years on campus as a biology major before deciding she needed to change her focus. "I don't know why I stuck with it for so long," McCarson said. "It just wasn't for me, and I realized that I was trying to find ways to express myself." Her parents noticed her taking and editing a lot of photos on her cell phone and surprised her with a camera for Christmas. "I don't use my phone anymore," McCarson said. 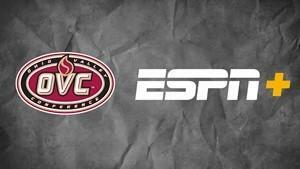 The Ohio Valley Conference and ESPN have reached an extension of their media rights agreement, which will now include a minimum of 600 conference events on ESPN+, the recently launched multi-sport, direct-to-consumer subscription streaming service from The Walt Disney Company Direct-to-Consumer & International segment and ESPN. 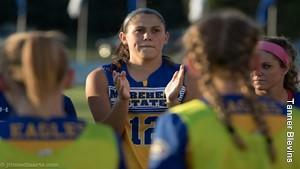 The Morehead State soccer team fell to Ball State 1-0 in overtime on Sunday afternoon at Jayne Stadium. The loss is the Eagles third consecutive overtime loss. The Cardinals netted the game winner in the 93rd minute with a header from Jenna Dombrowski that was set up by a free kick 30 yards above the box. Paula Guerrero sent the ball into the middle of the box to assist Dombrowski goal. The Eureka, Ill., native ranked among Ohio Valley Conference leaders in kills, ranking sixth in kills per set (3.13) and 10th in total kills (310). Rokey also ranked eighth in the league in points per set with 3.64 and 10th in total points with 360.5. 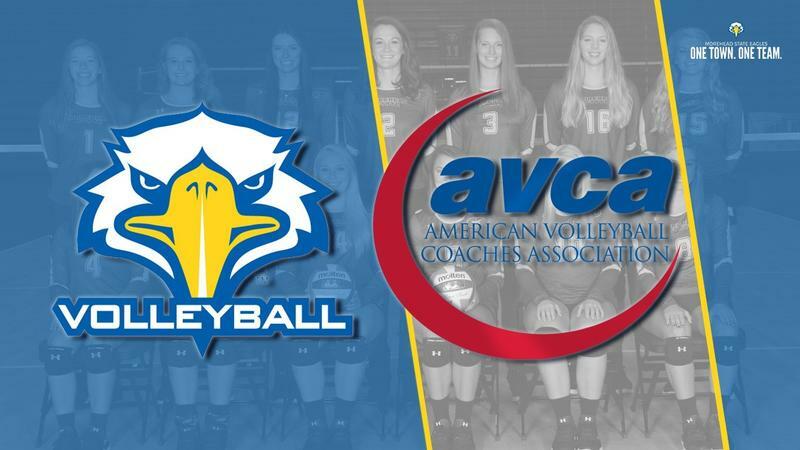 For the 11th consecutive season, the American Volleyball Coaches Association has honored the Morehead State volleyball program with its highest academic achievement award. The Eagles' 3.43 cumulative GPA during the 2017-18 academic year earned the program its 19th total AVCA Team Academic Award. After a standout career as a member of the Morehead State women's golf program, former Eagle Anna Magnusson is creating a name for herself on the Swedish Golf Tour. Competing in Sweden's top tour, the Taby, Sweden native has secured two victories across the seven events she's competed in on tour. 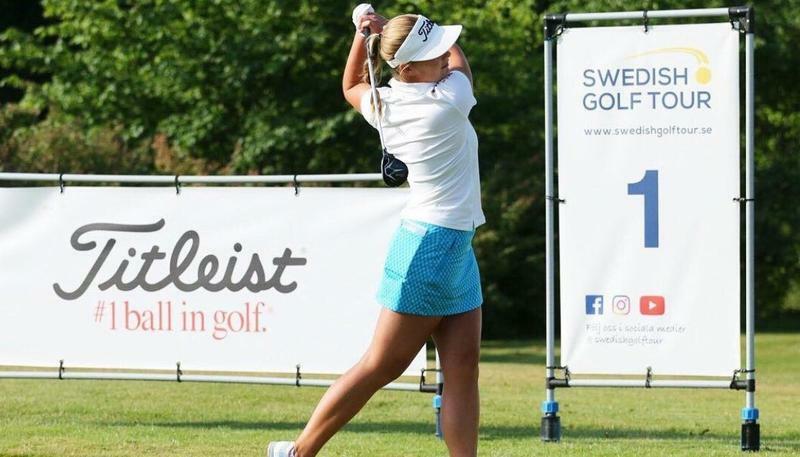 Magnusson is the only player to win twice this season on a tour designed to help Swedish golfers develop their play to qualify for the Ladies European Tour. Samantha Jones, who played in an NCAA Super Regional as a student-athlete and who has extensive coaching experience, has been chosen to lead the Morehead State softball program. 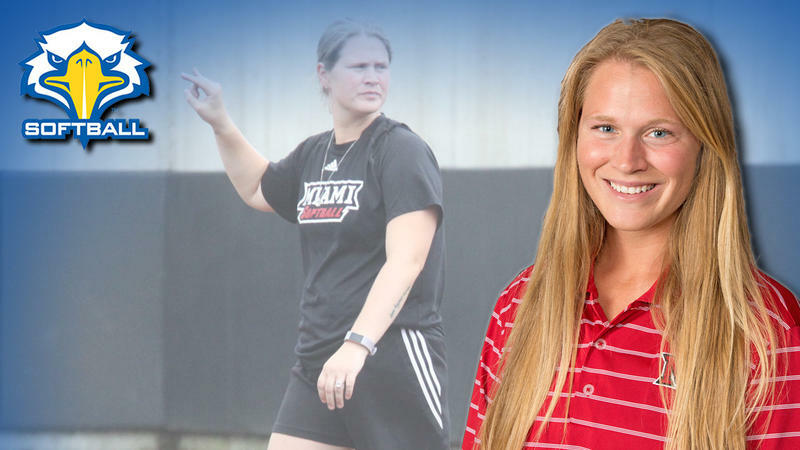 Jones takes over the Eagle program following a two-year stint as an assistant coach at Miami University. Prior to her time with the RedHawks, Jones was the head coach at Asbury (Ky.). 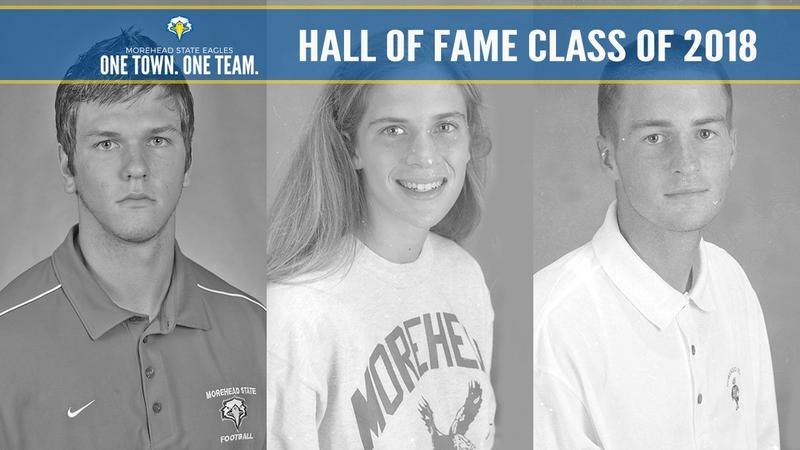 Three standout athletes on and off their playing venues will be inducted into the Morehead State Athletic Hall of Fame in 2018. The newest class consists of David Hyland (Football), Karen Lutes (Women's Cross Country/Track and Field) and Nick Atzinger (Men's Golf). The induction ceremony will take place on Friday, Oct. 19 with recognition as well at the Homecoming football game versus Valparaiso (2 p.m. ET) on Oct. 20. Morehead State baseball upended No. 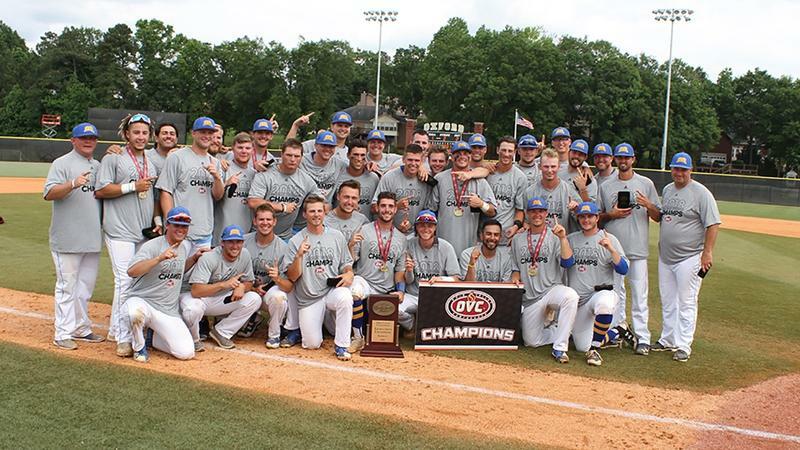 18 Tennessee Tech Sunday for the second consecutive day to win the 2018 Ohio Valley Conference Tournament Championship. Junior left-fielder Niko Hulsizer hit a go-ahead solo homer in the top of the ninth inning off the OVC Pitcher of the Year, Tech's Travis Moths, as the Eagles held on to win 4-3. The Eagles topped TTU 11-6 on Saturday to force the league's "if necessary" game and won it to mark the fourth time since 2005 a team has come back from the consolation bracket to win the event by knocking off the other team twice. 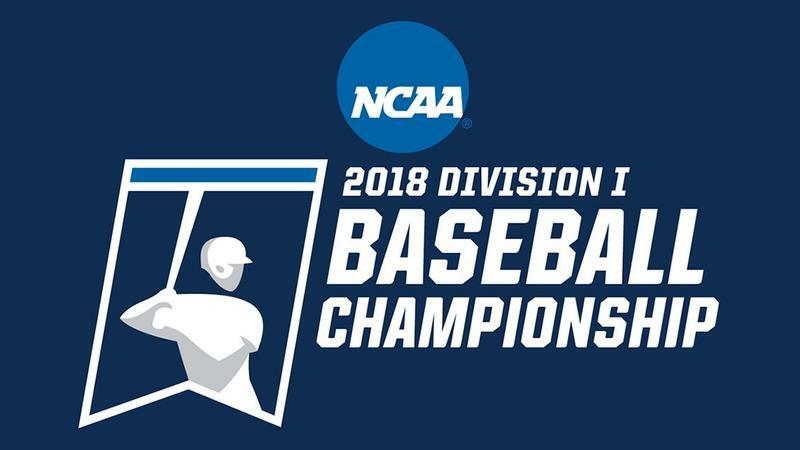 Morehead State Baseball is headed to Clemson, S.C. for the 2018 NCAA Regional. The Eagles learned their spot at a watch party at Buffalo Wild Wings on Monday afternoon. Morehead State (four seed, 37-24) will face No. 10 national seed and fifth-ranked Clemson (45-14) at 6 p.m. ET on Friday at Doug Kingsmore Stadium. Vanderbilt (two seed, 31-25) and St. John's (three-seed, 39-25) are also at the Clemson Regional and will square off at Noon on Friday. The winners will play each other Saturday at 6 p.m. while the losers play Saturday at Noon in the double elimination format. 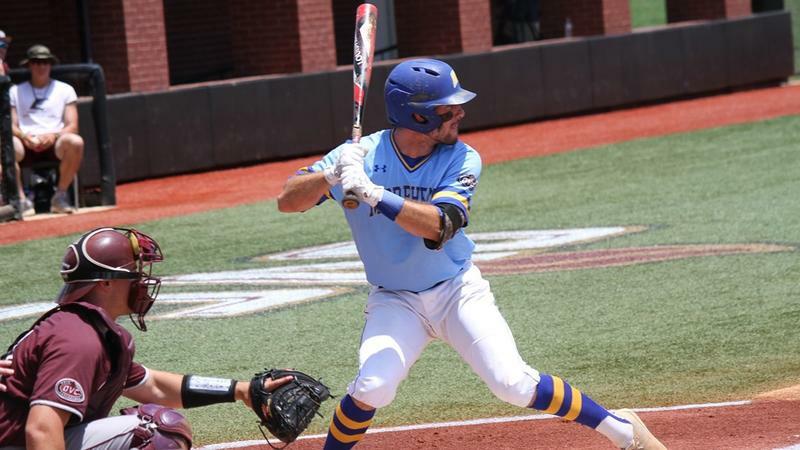 Morehead State baseball knocked off Eastern Kentucky 5-2 to reach the 2018 OVC Tournament Championship game and then ousted No. 18 Tennessee Tech 11-6 Saturday to force a winner-take-all game on Sunday at 1 p.m. ET. MSU is now 36-24 overall and is the only league team to hand the nationally-ranked Golden Eagles two losses this season. 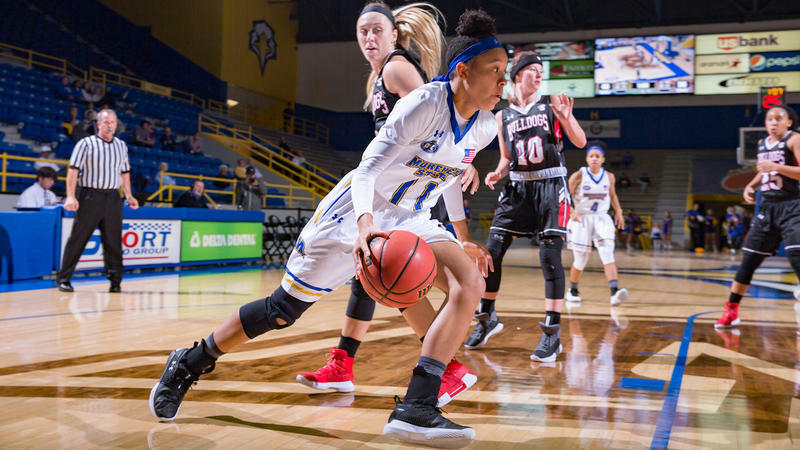 Led by a second straight 20-point performance from junior guard Miranda Crockett, Morehead State women's basketball (16-7, 7-3 Ohio Valley Conference) picked up its third straight victory with a 66-59 win over Austin Peay (12-9, 5-5 OVC) on Saturday evening at the Dunn Center. 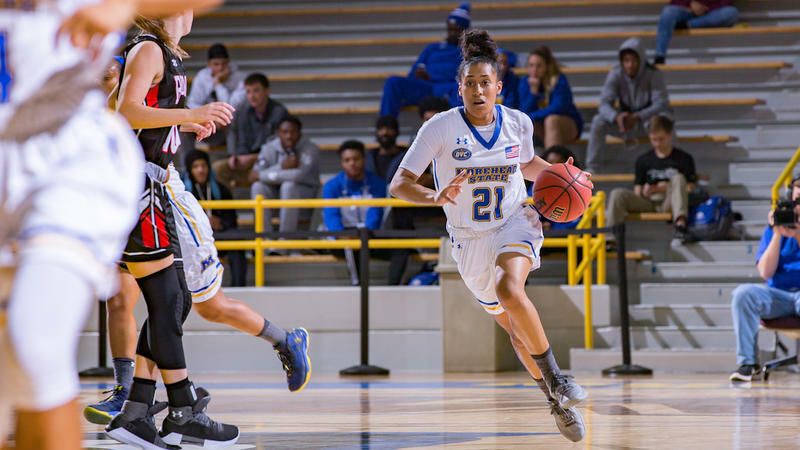 Morehead State women's basketball notched its seventh straight win with a 73-59 wire-to-wire victory over St. Francis Brooklyn on Tuesday night at Pope P.E. Center. With the win, the red-hot Eagles move to 9-3 on the season. Greg Todd records his 52nd win as Morehead State head coach, totaling a 52-51 (.505) mark in his fourth season at the helm. With a 209-115 (.645) record in his 12th NCAA season and a 391-80 (.830) tally over a 14-year Kentucky High School Basketball Hall of Fame career, Todd logged his 600th career victory as a head coach in the Commonwealth of Kentucky. Morehead State sophomore guard Djimon Henson scored a game-high 22 points in his hometown Tuesday night, but host Butler pulled away after a tight first half to hand the Eagle men's basketball squad a 85-69 defeat at Hinkle Fieldhouse. The Eagles slipped to 4-7 with their final non-conference game of 2017-18. 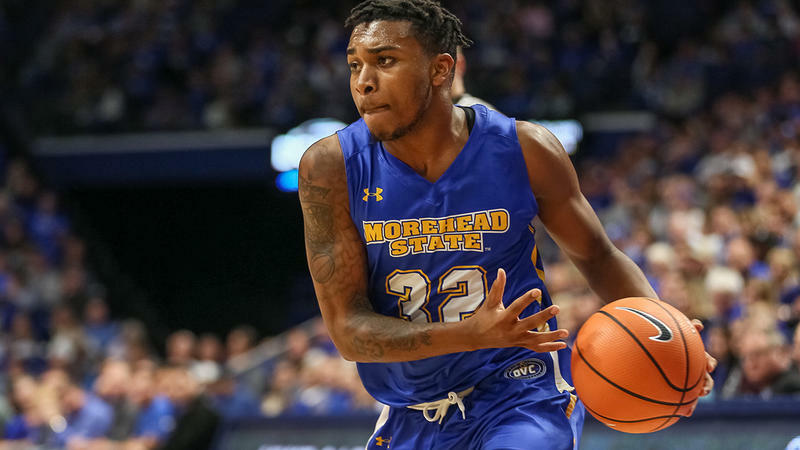 Morehead State sophomore forward Londell King has been selected as the Ohio Valley Conference men's basketball Newcomer of the Week for Dec. 12-17. King, a transfer who hails from Tallahassee, Fla., put together back-to-back 17-point, seven-rebound games as the Eagles defeated Kentucky Christian and Central Arkansas last week. He was extremely solid when on the floor, shooting 73 percent (11-of-15) from the floor and hitting 91 percent (10-of-11) from the free throw line. 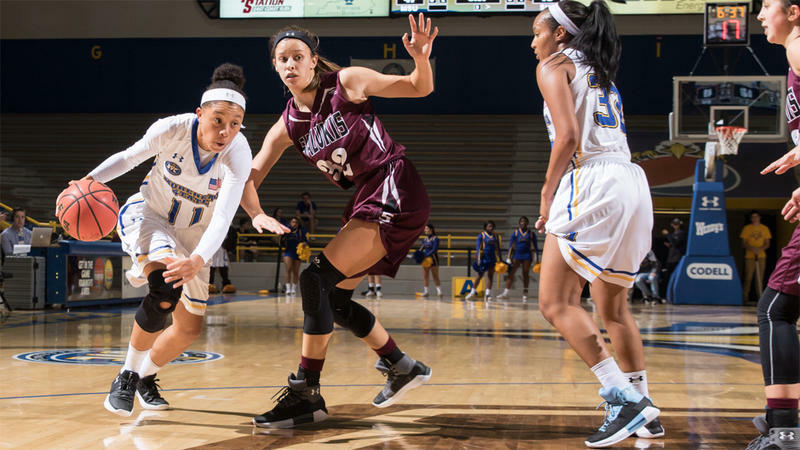 Thanks to a combined 56 points from its starting backcourt, Morehead State women's basketball (7-3) climbed back from a 20-point deficit to defeat Evansville (2-6) by a score of 82-75 on Sunday afternoon. Sunday's win marks the Eagles' first all-time victory over Evansville, handing the Purple Aces' their first loss at the newly renovated Meeks Family Fieldhouse since the turn of the century. 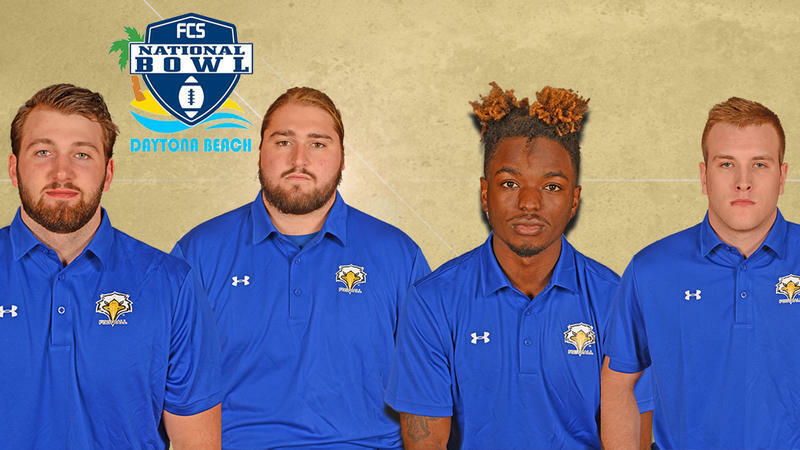 Morehead State football seniors Jake Sutherland, Liam Maloney and Braylyn Cook have been selected to take part in the FCS National Bowl in Daytona Beach, Fla. The game, presented by Spiral, is set for Sunday at 1:30 p.m. ET at Daytona Beach Municipal Stadium. It is attended by scouts of all professional levels of football. 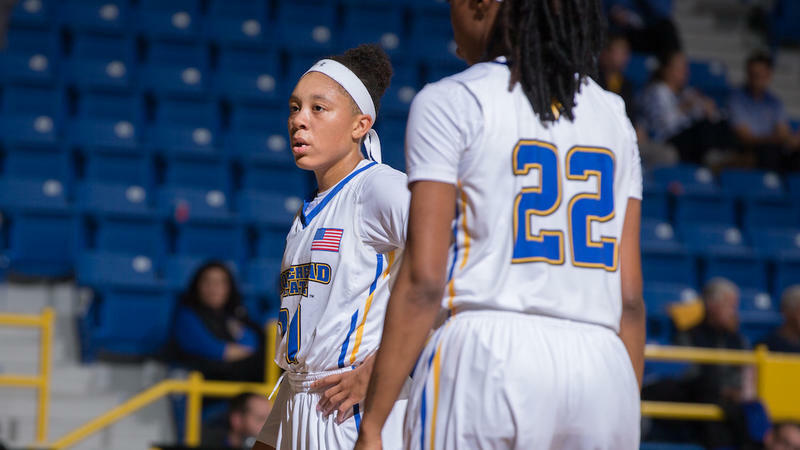 After picking up the latter three victories of a four-game win streak, Morehead State women's basketball saw two of its players recognized by the Ohio Valley Conference for their performance on the court last week. Junior guard Miranda Crockett was named OVC Player of the Week for the first time in her career, while fellow junior Tierra McGowan was named OVC Newcomer of the Week for the third time this season. 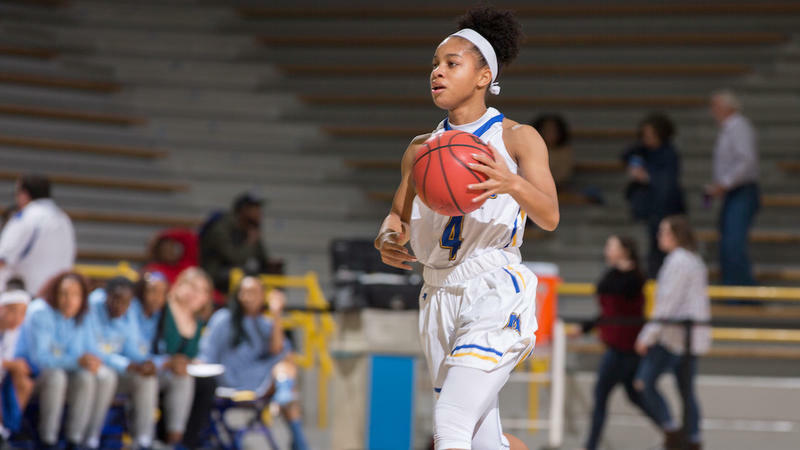 Miranda Crockett poured in a career-high 28 points while two other starters logged double-doubles, propelling Morehead State women's basketball to a 75-55 win over Lipscomb on Saturday night at Nashville's Allen Arena. 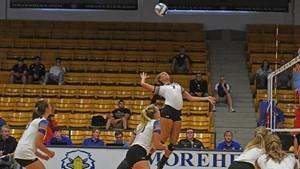 The Eagles' fourth straight victory boosts the team to 6-3 overall, while the Lady Bisons fall to 2-6 on the season. Inside Morehead State Basketball, an all-inclusive insight into the men's basketball program, will make its 2017-18 debut this week on the CW Lexington channel. The show, hosted and produced by David Patrick, will air each Sunday at 1 p.m. ET on DIRECTV channel 14, DISH Network channel 28 and Spectrum Cable channel 99 (or Spectrum channel 5 in Lexington). 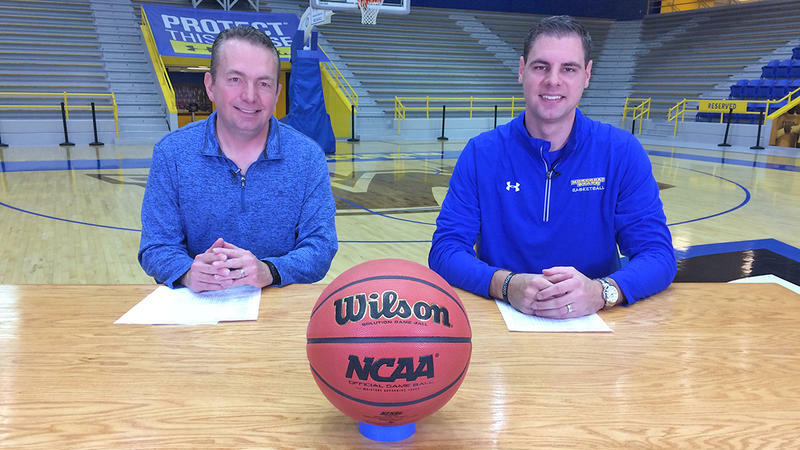 The show features commentary and a look back at previous games with head coach Preston Spradlin, along with fun features highlighting Morehead State's student-athletes and coaching staff. For the second time in 2017-18, women's basketball center Tierra McGowan has been named the Ohio Valley Conference Newcomer of the Week. McGowan recorded a game-high 14 points and 15 rebounds (nine offensive), complemented by three assists, three steals, and one block in a 79-40 rout of Chicago State in the Chicago native's homecoming in the Windy City last Sunday. 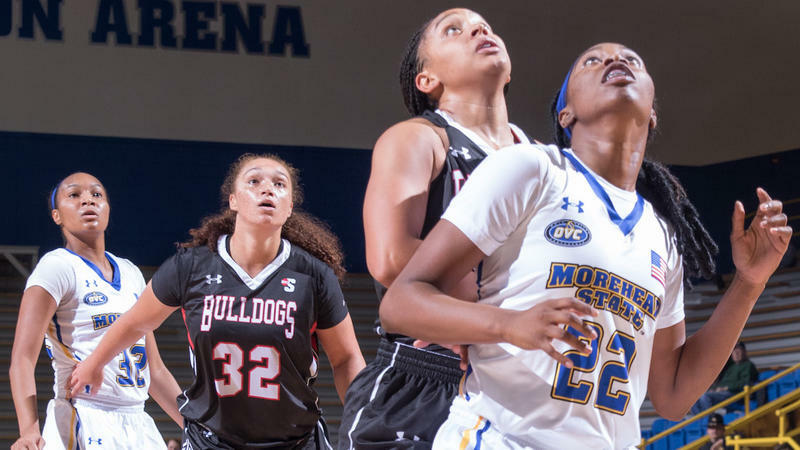 McGowan's has secured double-digit rebounds in each of her first six contests in a Morehead State uniform. 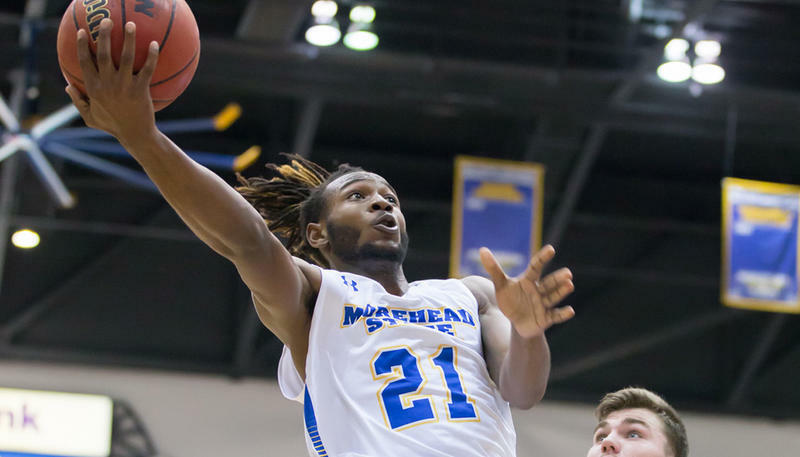 Career highs by newcomer forwards Malek Green and Londell King were not quite enough for the Morehead State men's hoops team Monday night in dropping an 82-78 decision at Central Arkansas' Farris Center. The Eagles (1-5) got 16 points and six rebounds off the bench from Green, while King recorded his second career double-double with 10 points and a career-best 12 rebounds to go along with a career standard three steals. 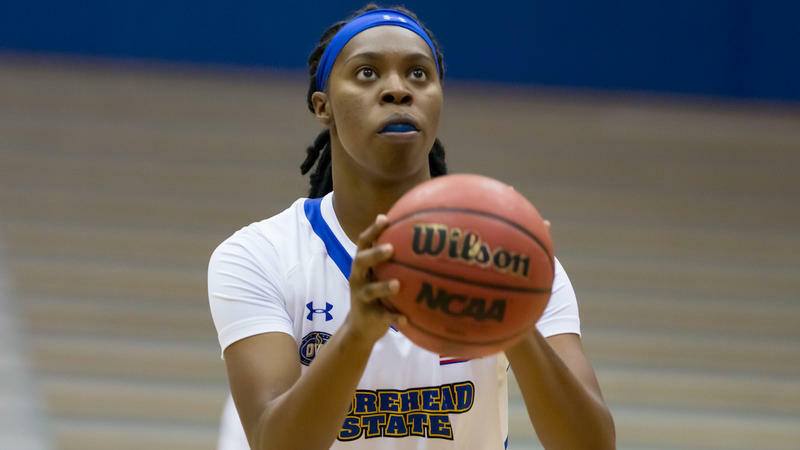 After falling below .500 for the first time since opening the season 0-1 in 2016-17, Morehead State women's basketball (3-3) bounced back for the first road win of its 2017-18 campaign with a 79-40 decision over Chicago State (0-6) on Sunday afternoon in the Windy City. Morehead State won the scoring battle in each quarter, jumping out to a 17-12 lead after the first. The MSU defense intensified in the second period, holding Chicago State to just 10 points. The Eagles controlled the battle for points in the paint with an 18-6 first-half advantage, leading 35-22 at the break. 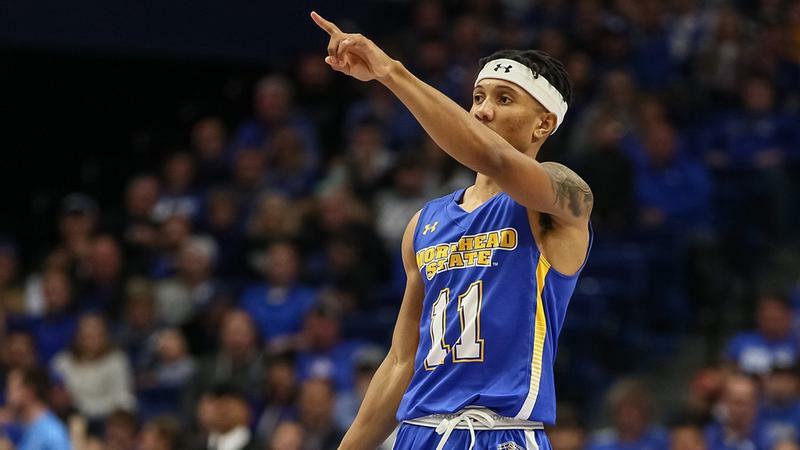 Sophomore guard Djimon Henson poured in a season-high 17 points but Morehead State men's basketball again fell into a large early deficit and ended with a 96-63 setback at Virginia Tech Saturday afternoon at Cassell Coliseum. Henson, who scored 12 this week at IUPUI, was 8-of-13 from the field and also added four assists for the Eagles (1-4). Virginia Tech (5-1), which leads the nation in field goal percentage, raced out to an 8-0 lead. 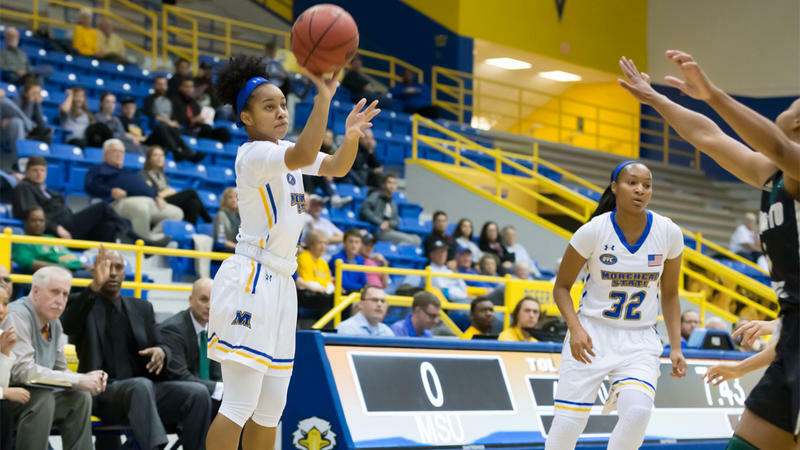 Taking on a nationally ranked opponent in its first road test of the season, Morehead State women's basketball (2-3) finished off the Matthew Mitchell Classic with an 86-53 loss to No. 22 Kentucky (5-0) on Wednesday afternoon at Memorial Coliseum. Shooting woes proved to be the Eagles' crux in the performance, as Morehead State hoisted a season-low 18-for-66 (.273) from the floor. Kentucky connected on 31-of-55 (.564) attempts, including a red-hot 10-of-17 (.588) from three-point range. 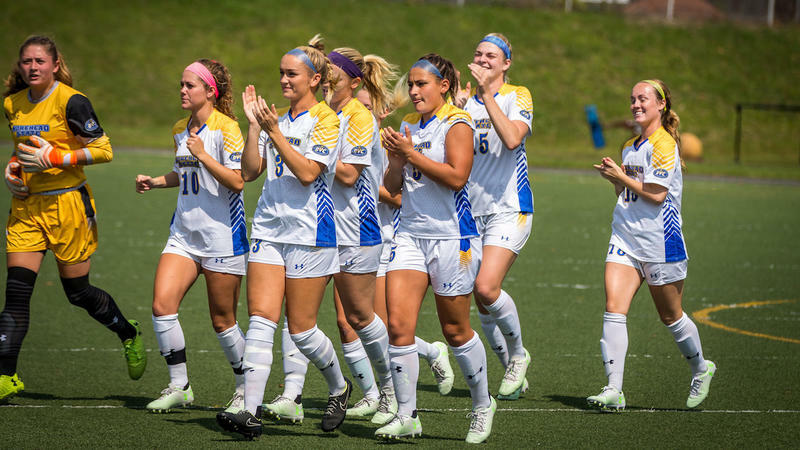 In a poll of soccer players and head coaches from across the Ohio Valley Conference, Morehead State earned the OVC Team Sportsmanship Award for the second consecutive season on Tuesday in Brentwood, Tenn.
2016 was the first time Morehead State had collected the recognition. "It is always a true honor to receive this award," said MSU head coach Warren Lipka. "It shows a level of respect to the game, as well as to our conference opponents." 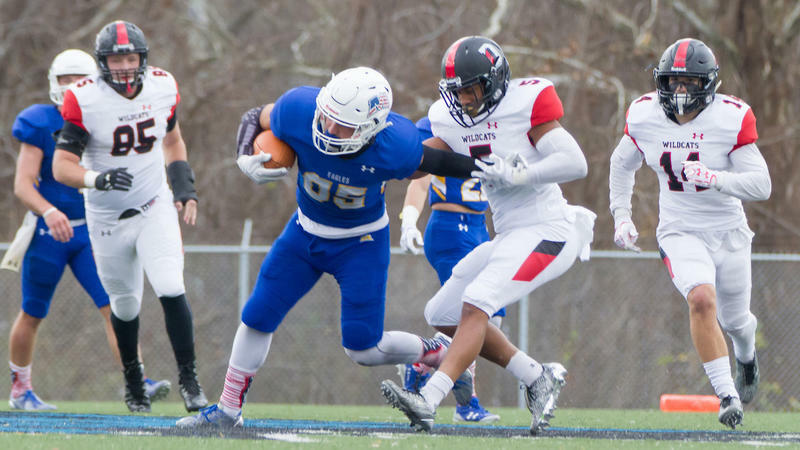 Honoring 13 members of the 2017 senior class, Morehead State football concluded its season with a 21-14 win over Davidson on a windy Saturday afternoon at Jayne Stadium. The Eagles finish the year with a 4-7 record and a 3-5 mark in the Pioneer Football League, while Davidson ends its season at 2-9 (0-8 PFL). "Nothing easy," said head coach Rob Tenyer. "I was really proud of the way our kids battled today. Overall, both teams did a really nice job schematically." 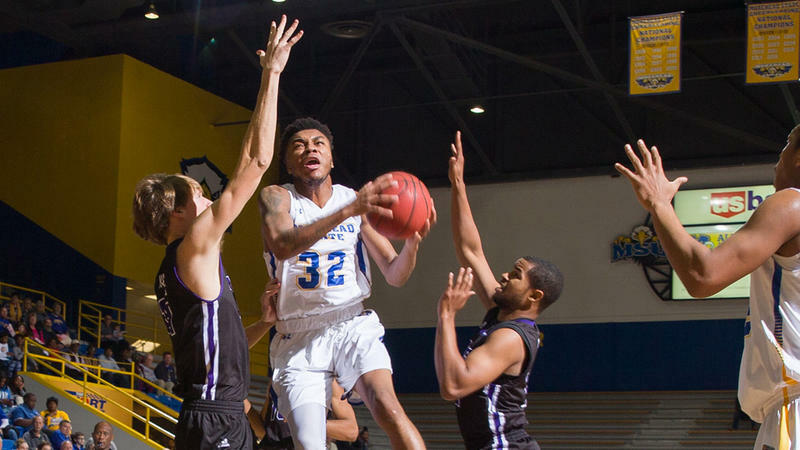 Coming off the second-highest scoring total in program history last Wednesday, Morehead State (2-2) hit a roadblock in the form of the North Florida Ospreys (2-1) Friday night at Johnson Arena. The Eagles were unable to overcome 21 turnovers and ultimately fell 61-56. The Eagles came bursting out of the gate to begin play, starting with a 7-0 run. However, Morehead State would go cold and finish the final 2:12 of the opening quarter without a field goal. North Florida led 21-15 at the end of the first. 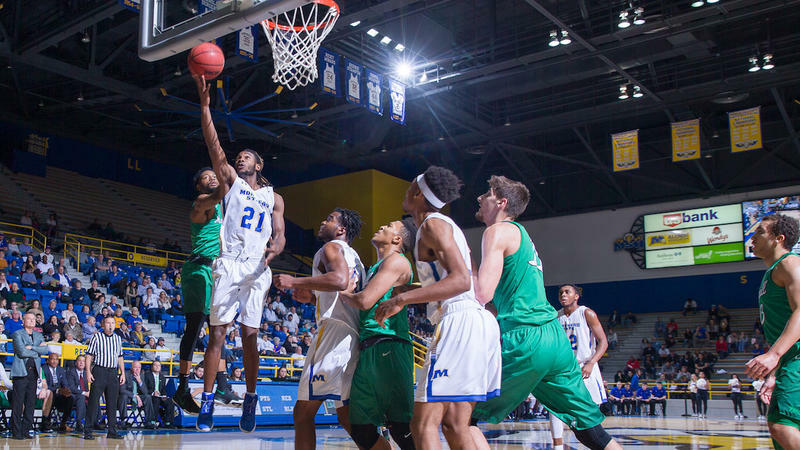 Over the course of eight ties and nine lead changes, Morehead State men's basketball picked up its first win of the 2017-18 season with an 86-83 thriller over Marshall in the Eagles' home-opener on Thursday night at Ellis T. Johnson Arena. With the win, Morehead State reclaims possession of the Ellis Johnson Trophy, awarded to the winner of the annual series between rival schools separated by only 68 miles of real estate. The Eagles have emerged victorious in each of the last three matchups at Johnson Arena. 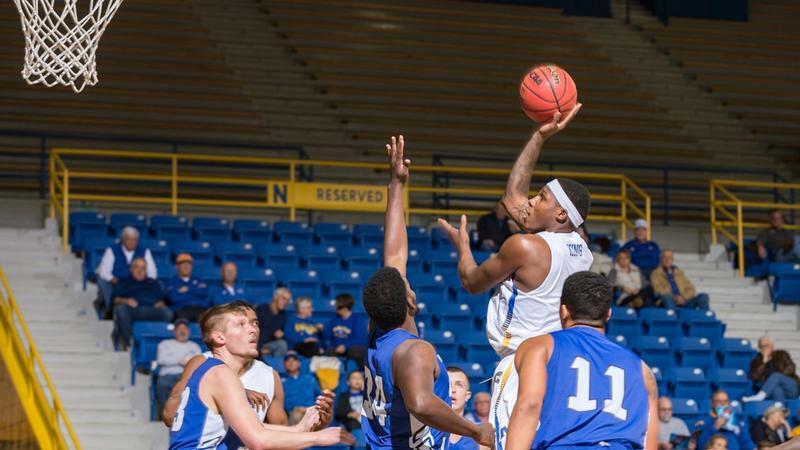 Morehead State men's basketball will match up with one of its longest-running rivals Thursday evening at Johnson Arena as Marshall visits for a 7 p.m. ET contest. The 2017-18 regular-season home opener for the Eagles will be Greek Night and a Whiteout. The first 500 fans will receive free OneTownOneTeam t-shirts. The Eagles (0-2) will look for their inaugural win this season after coming close at Lipscomb Sunday in a 77-70 setback. Marshall enters at 2-0, including an overtime win over fellow OVC foe UT Martin.